Farmington Hills Pella Windows | Farmington Hills Pella Window Replacement | Farmington Hills Pella Wood Windows | Farmington Hills Pella Fiberglass Windows | Farmington Hills PellaMcGlinch & Sons CO. Since 1917, McGlinch & Sons Co. Home Improvements has been serving the inhabitants of the Greater Detroit Metropolitan Area and Southern Michigan with the installation of their Pella windows or Pella replacement windows for their home! We are excited to say that McGlinch & Sons is a family-owned and operated business that prides in our customer service and Pella window products. Our customers really are grateful for receiving a valued product when they go with Pella windows because they are getting much more than a window, their getting excellence! Our customers can grasp that when they purchase from McGlinch & Sons they will receive the greatest in customer service and the best in our Pella window supplies. Also, the Pella windows we have are manufactured to stay new a long time and can resist anything that Mother Nature can bring. Our Pella window replacements provide details that visibly differentiate them from any other competing window product. That’s why our customers go with Pella wood windows or Pella fiberglass windows! The residents of Farmington Hills end up saving up to 74% of their energy using Pella windows, which McGlinch & Sons can provide for you as well! Farmington Hills is a wealthy community in Oakland County, Michigan. Regarded as the second largest town in the state, there are nearly 81,000 residents who live in Farmington Hills. Furthermore, Farmington Hills was listed as the “30th Safest City in America” in 2010. With the median home value in Farmington Hills amounting to more than $200,000, it is no wonder that whenever Farmington Hills homeowners are searching for new Pella windows, they want to go with the best in the business, McGlinch & Sons! McGlinch & Sons has a massive range of Pella windows that have the premium of features are customers are looking for. 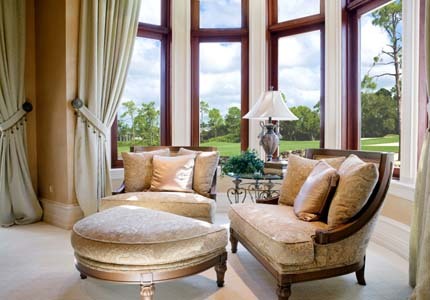 Our Farmington Hills clientele want to have the Pella windows that are engineered to meet their window project desires and at the same time deliver the purpose they need. Genuineness, reliability and excellence in products are just a few of the character traits McGlinch & Sons uses every day and have been using for years. Our Farmington Hills customers prefer us for all their Pella window products because they know we are the greatest in this industry! McGlinch & Sons is your one stop shop to get the Pella window replacement products that you have been looking for! At McGlinch & Sons we offer a multiplicity of both interior and exterior designs of Pella windows including a number of different colors that can compliment your decor. We also carry the following types of Pella windows for your convenience: Double Hung; Sliding; Casement; Awning; Single Hung; Bay & Bow; Specialty and Special Shapes. So go ahead and relax and let the experts installers at McGlinch & Sons install the Pella windows you’ve always wanted! Having Pella windows installed in your home can improve the allure, worth and curb appeal of your home. To receive more information regarding our Pella window products, you can give us a call today at the following numbers: Oakland: (248) 987-6300, West Side: (313) 278-2777, or East Side: (586) 776-8912. McGlinch & Sons Co. Home Improvements is the window company that you can have confidence in and our Pella windows can improve the appearance of your home, we guarantee it!